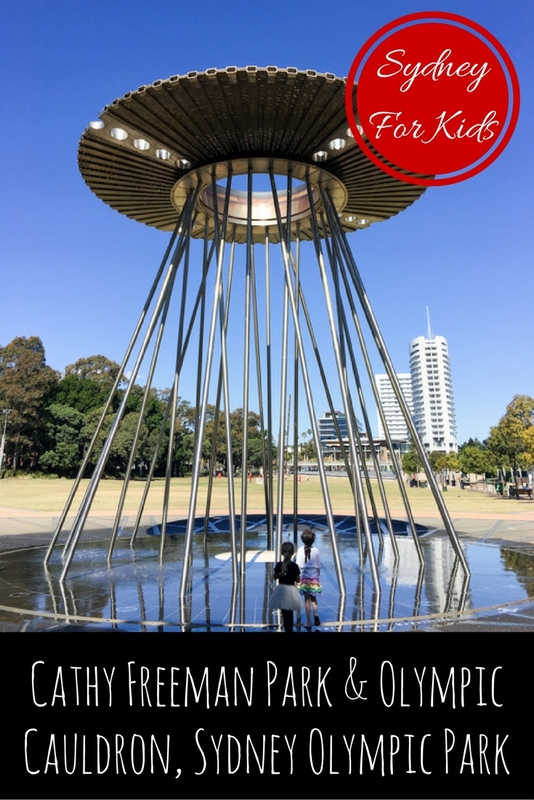 Cathy Freeman Park + Olympic Cauldron, Olympic Park, Homebush - Adventure, baby! 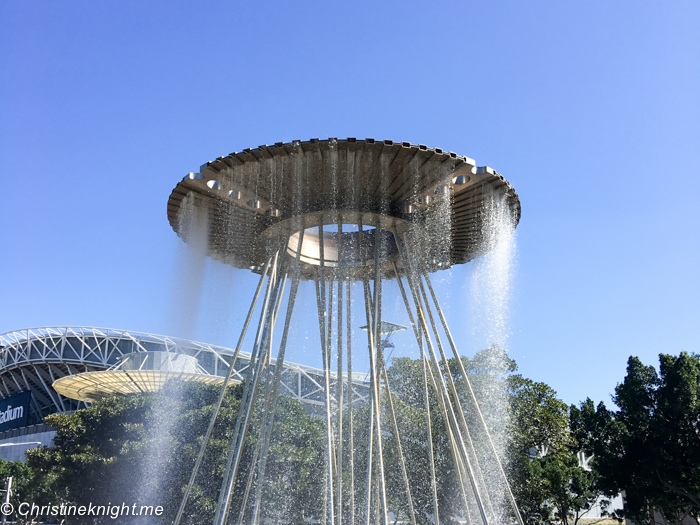 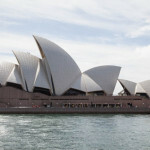 Have you ever wondered where the famous caldron from the 2000 Sydney Olympics ended up once the games were over? The answer is it didn’t go very far at all. 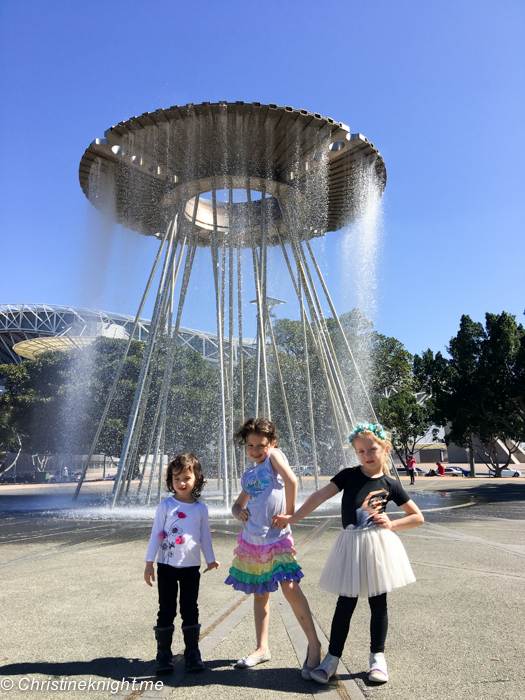 After the magical opening and closing ceremonies (who can forget Cathy Freeman lighting the cauldron and it rising through the air simultaneously dripping with fire and water?) 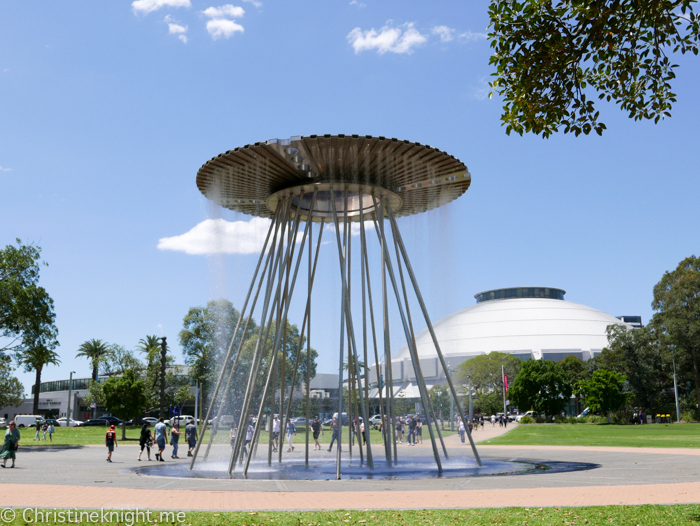 the cauldron was taken down and moved just a few hundred metres to its permanent home – in the appropriately named Cathy Freeman Park. 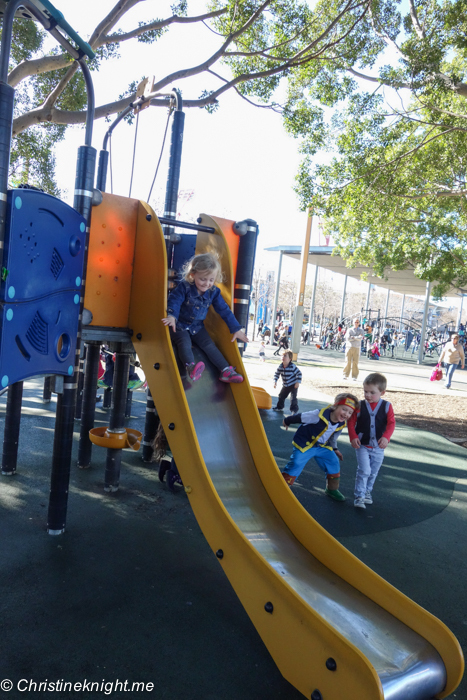 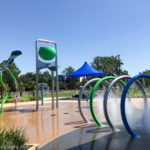 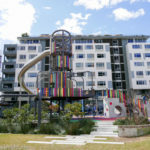 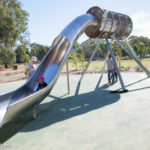 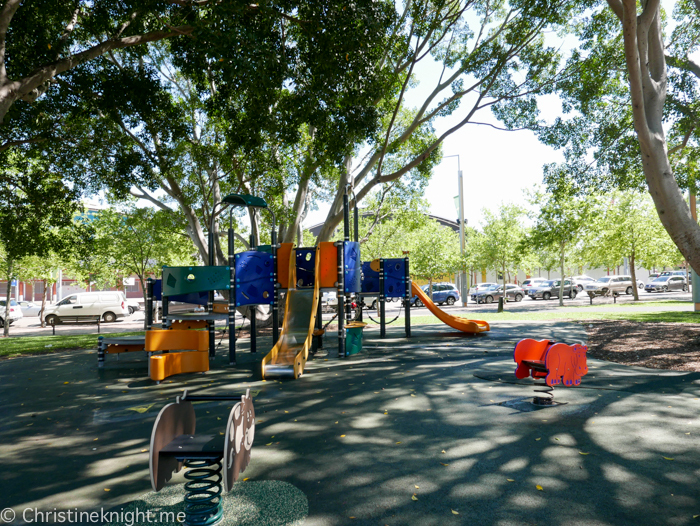 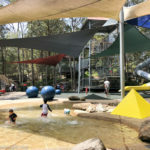 Located very conveniently next to the Allphones Arena, Cathy Freeman Park has 2 playgrounds – one for young kids and one for older – huge shady trees and easy access to bathrooms and cafes. 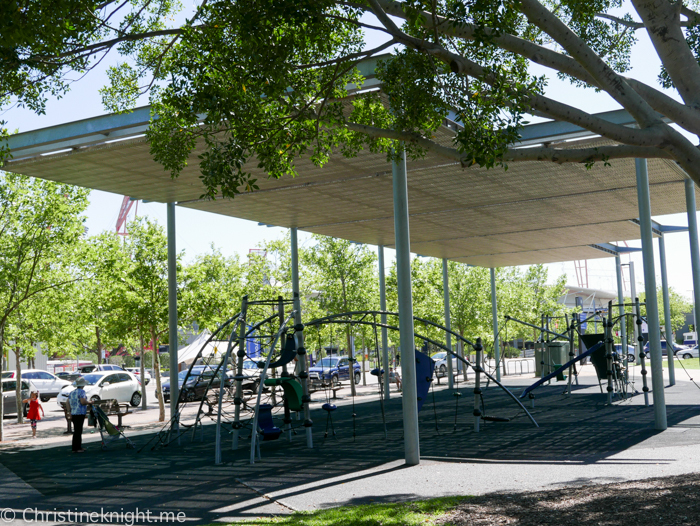 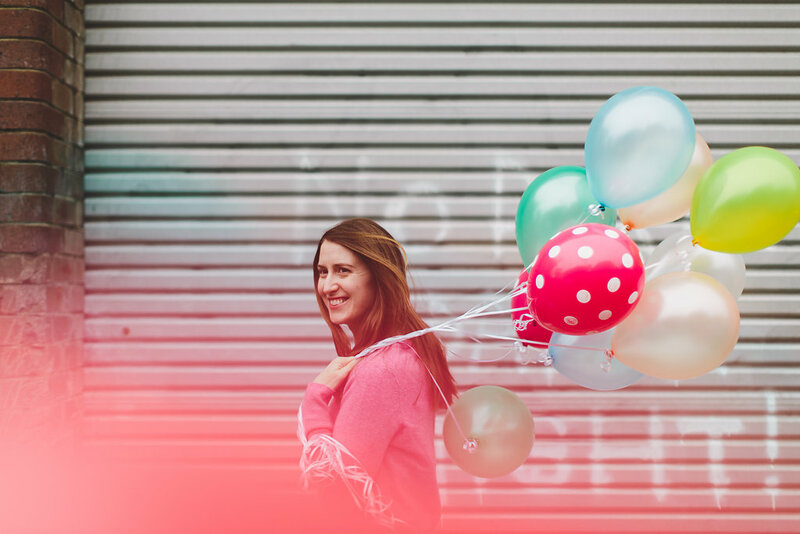 We often end up in the park when attending a show at the Allphones Arena – it’s great to burn off energy after a long drive before needing to sit still for a long time while watching a show. 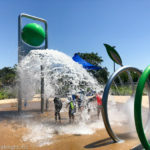 The cauldron is a popular feature for tourists and kids, who particularly love running underneath it in the puddles, and trying to judge when the fountain is about to turn on. 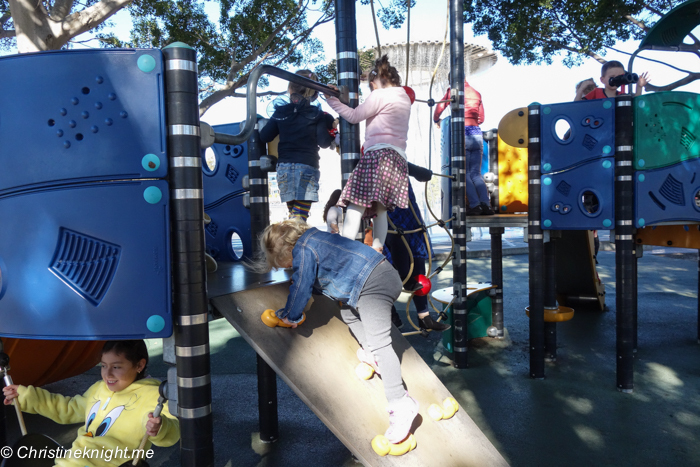 There’s always one kid who times it poorly and gets absolutely soaked. 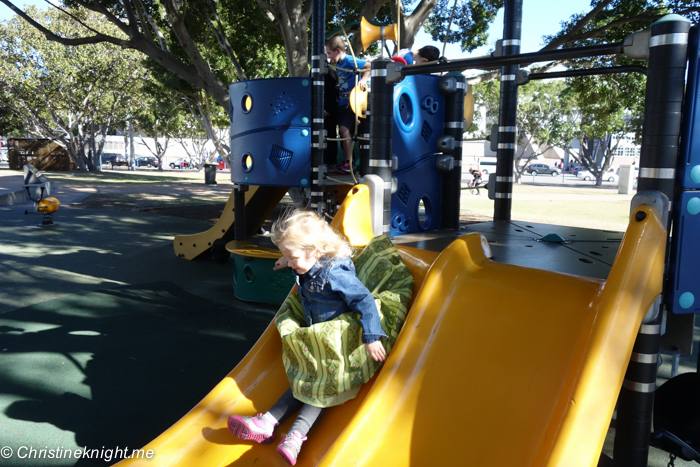 Bring extra clothes in case this is your kid!